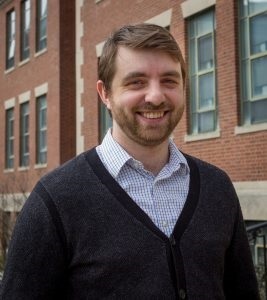 Congratulations to Dr. Donald Sheehy on winning an NSF CAREER Award for his research project “Algorithmic Challenges and Opportunities in Spatial Data Analysis.” The award is expected to total over $500K from 2017 to 2022. The Faculty Early Career Development (CAREER) Program is a Foundation-wide activity that offers the National Science Foundation’s most prestigious awards in support of junior faculty who exemplify the role of teacher-scholars through outstanding research, excellent education and the integration of education and research within the context of the mission of their organizations. The specific aim of Dr. Sheehy’s project is to develop new data structures for working with metric data sets, i.e. those for which there is a distance between points. He will focus on data structures that organize data into a hierarchy involving different scales. These will be modified to work with locally adaptive distances (the distance between points varies depending on the location) using new models of computation that only use approximate distance comparisons. These models acknowledge the reality that with sufficiently complex data, even a single distance computation can be expensive. A second specific aim is to develop new multiscale sampling theories as well as new algorithms for computing such samples. These samples and sampling algorithms will be applicable to a wide range of problems and will extend and generalize the popular “farthest-point” sampling strategy. A third specific aim is to develop algorithms for new metrics and distance functions for heterogeneous data to more accurately represent intrinsic structure in data. These algorithms will generalize methods used in both Voronoi refinement mesh generation (a technique originally developed to aid in computer simulation of physical systems) and topological data analysis, a rapidly growing field at the intersection of computer science and mathematics. This is our faculty’s 12th NSF Career Award since the turn of the Century. To learn more about Don and other UConn awardees, see the article in UConn Today. Best wishes to Don for his continued success!